There is a festive mood as an American inventor is hopeful that his Christmas tree stand will become an essential decorating accessory with a little help from a Dragon. 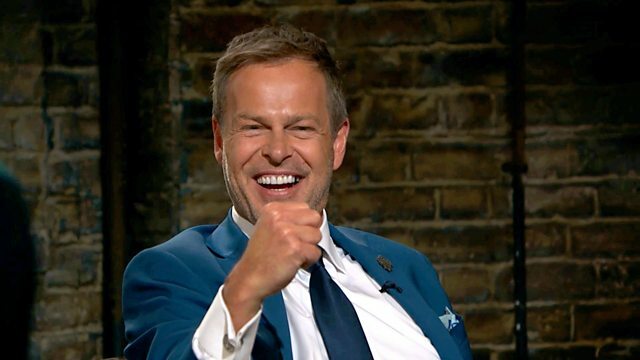 There is a festive mood in the Den as Peter Jones, Deborah Meaden, Touker Suleyman, Jenny Campbell and Tej Lalvani face a batch of nervous entrepreneurs keen to secure the perfect Christmas present - an investment from one of the UK's most influential multimillionaires. An American inventor is hopeful that his Christmas tree stand will become an essential decorating accessory with a little help from a Dragon, whilst an entrepreneur pitching a family games idea gets the investors guessing. The man behind a personalised comic book business must make a big life decision if he wants to secure a Dragon. And, finally, there is a bid for a sweet deal from one of the biggest names in British confectionery.